Health is the foundation for people lives. Health is also the foundation for the survival of the mother earth. In today's society, health is a challenge that the humanity and the planet earth must face together. No one person, one nation, or one country can avoid the sacrifices and costs of neglecting health! Over the years, Ms. Lin Su traveled around the world working in the field of Chinese culture education and exchange. While learning and experiencing various cultures and traditions in different countries, she also witnessed a lot of painful physical and mental health sufferings and many other issues associated with or arising out of water, food, poverty, and lack of resources, etc. As a compassionate global educator, Ms. Su understood health was the basis for education. In face of all those, Ms. Su was determined to help improve the situation. 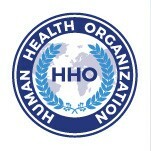 Through years of efforts of appealing to interested parties and stakeholders, the Human Health Organization was established in California, the United States, for the purpose of working together towards the advancement of health of all peoples. Ms. Su proclaims and calls out to leaders of all countries in the world: Please pay attention to the health of your citizens and please pay attention to health matters of the entire humankind!